FAIRFIELD — Police said two Waterbury residents led officers in a brief pursuit after allegedly stealing merchandise from Home Deport, 541 Kings Highway, Sunday evening. According to the report, security at Home Depot called police when they spotted Ryan McCarthy, 42, who they said was a known shoplifter, pushing a cart with about $1,500 worth of items to the door. The employee watched McCarthy load the merchandise into a waiting car, and police attempted to stop that car in the parking lot. The car sped off and drove onto Interstate 95 northbound, getting off at Exit 25. McCarthy, who was driving, made a left turn off the exit onto a dead end road and was apprehended by police. He initially resisted attempts by officers to handcuff him, and gave them a fake name. A passenger in the car, Bernadette Perniciaro, 35, also gave a fake name to police. Both had outstanding warrants. McCarthy was taken to Bridgeport Hospital for evaluation after he complained of chest pains. Police said he implicated Perniciaro was acting as his lookout. Both have extensive criminal records, according to police. McCarthy, of West Main Street, was charged with fourth-degree larceny, conspiracy to commit fourth-degree larceny, three counts of interfering with an officer, second-degree reckless endangerment, and engaging police in pursuit. He was issued a motor vehicle summons for reckless driving, misuse of plates, failure to renew registration, failure to carry insurance, and operating under suspension. 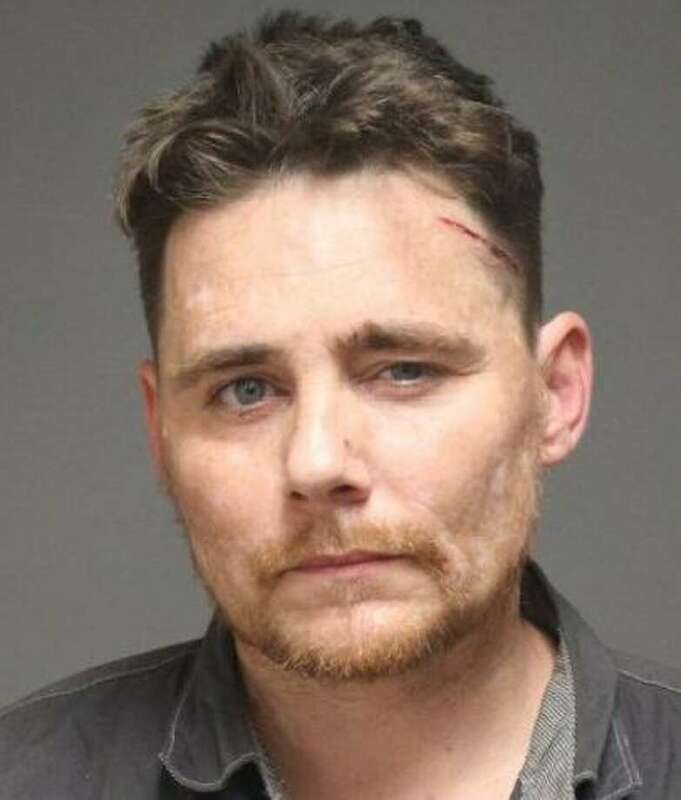 McCarthy was also served with three warrants for failure to appear from Torrington, and two warrants out of Naugatuck for violation of probation. His bond for the Fairfield charges was set at $50,000, and bonds for the warrants totaled $51,000. McCarthy is scheduled to appear in state Superior Court in Bridgeport on Oct. 29. Perniciaro, who also lives on West Main Street, was charged with conspiracy to commit fourth-degree larceny and interfering with an officer. She was also served a warrant from Troop A for violation of probation. Bond for the Fairfield charges was $5,000 and $25,000 for the warrant. Perniciaro was given a court date of Oct. 24.